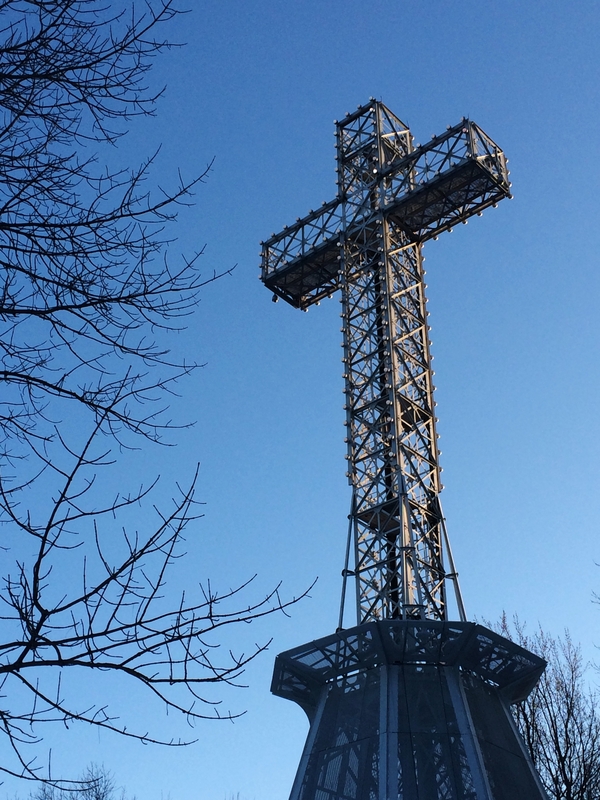 Canada’s second most populated city, Montreal, is an urban haven bursting with student-priced activities, cultural events and a diversity of ethnic food. With biting cold winters and sweaty summers, the humidity that hangs in the air doesn’t feel polluted. Montrealers love where they live, as made obvious by their welcoming attitude to outsiders, like me. I came to Montreal looking for answers. I spent a week considering future attendance at Concordia University and filled my spare time exploring the city. The metro is ridiculously easy to navigate (although it shuts quite early -12:40am) and the city feels safe. I can’t wait to return in better weather, when my cheeks don’t burn from the wind and my phone doesn’t freeze and shut off. 1. 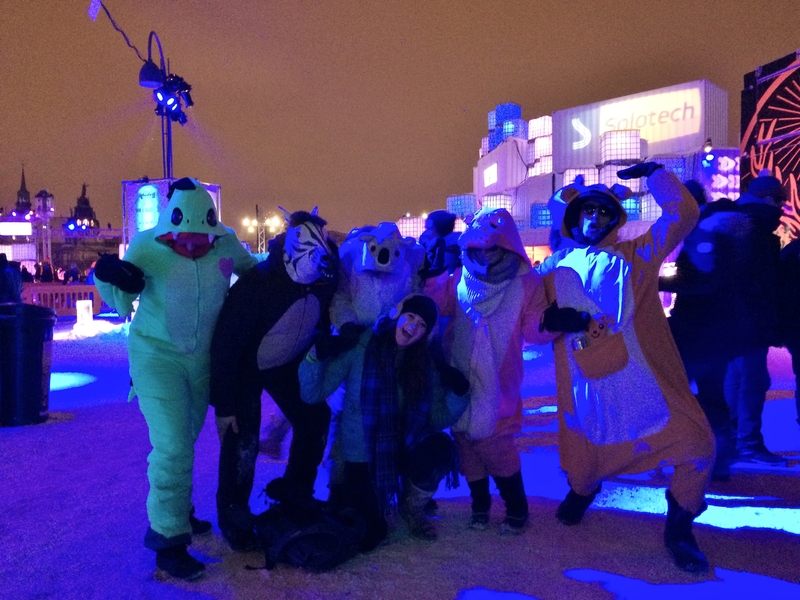 Igloofest – I’ve been to my share of music festivals, but this one takes the cake (the poutine?). The entrance fee was a well-spent $20. Dancing outside to electronic music with a bunch of toque-clad DJ’s kept me warm (for once), and the fresh winter air kept me wide awake. The ice slide, sumo-hockey rink, free marshmellow roast and photobooth made the last night of this month-long event one to remember. Next time, I’ll definitely wear a ridiculous onesie and splurge for at least one $8 beer. 2. 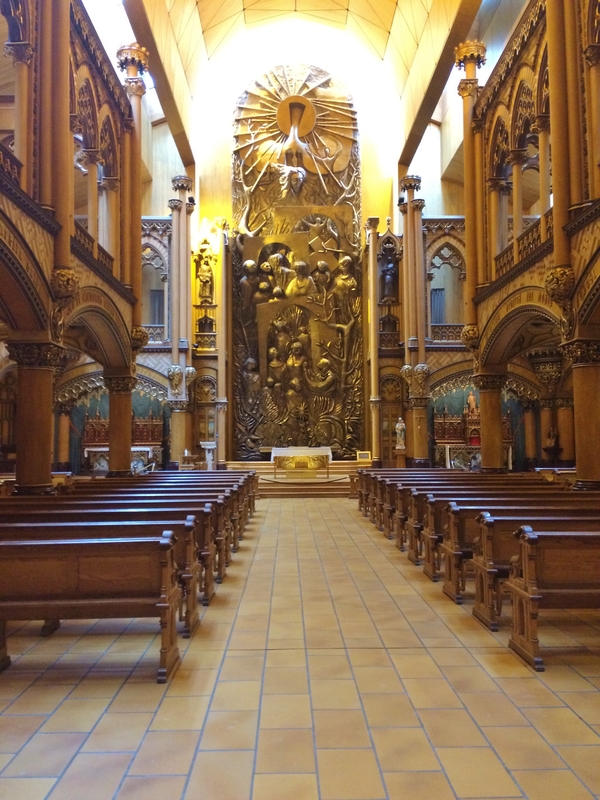 Notre-Dame Basilica – I absolutely abhor when churches charge an entrance fee. Churches should be safe, open places for anyone, and nowadays sanctuaries have become tourist attractions. To get around this, I always attend a service. The Basilica in Montreal is certainly stunning. The light flickers beneath a changing cloud cover, emitted through pale blue stained glass overhead. The service is a traditional Catholic carried out almost entirely in French. After the service, sneak around the back and peak into the second sanctuary, which is completely gold. Attend the 11 a.m. service for a full choir and organ concert (and so you can sleep in a little after your Saturday night out at Brutopia or Casa del Popolo). 3. Cafe Depanneur and Drawn & Quarterly – A grubby-looking musician sits beneath a chalkboard proclaiming this week’s performers. He plays around with a looping station on a mandolin. Around him are cracked metal street signs, mismatched tables and chairs spread across a warped wood floor, leading to an espresso bar, behind which a barista cooks grilled cheese on a home-style white stove. 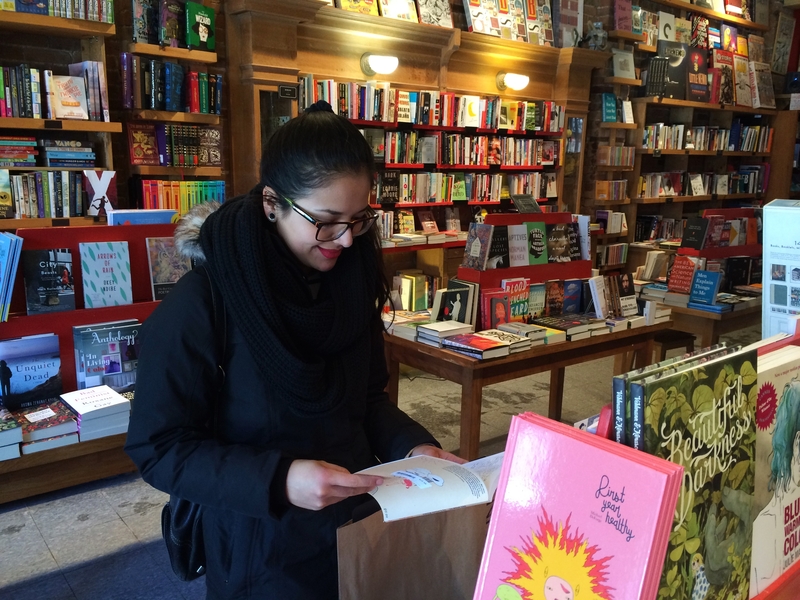 Across the street is a quirky bookshop, containing a wide selection of “comic literature,” underground novels, and beautiful copies of unheard of books with really weird titles. This. Is. Heaven. You’re welcome. 4. Eva B – Snuggled in my favourite neighbourhood, The Plateau (“where all the good-looking people live” according to my friend Marie), this trendy thrift shop offers free popcorn and beverages upon arrival. Besides baked goods and tea, the main floor contains vintage goods and a room overflowing with paperback books. Upstairs there are rows upon rows of clothes hangers. Eve B also has an abundance of unique patches, glasses frames, old posters, and quirky house-hold goods. 6. 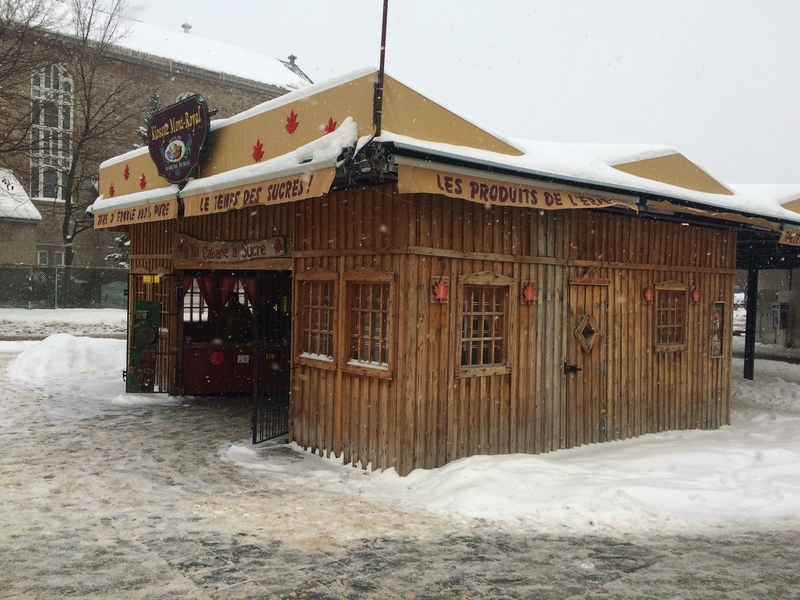 La Cabane a Sucre – These “cabins of sugar” sell maple syrup products galore, but the one you must try is the least expensive and deliciously immediate – maple toffee! Poured over ice, it’s important to give the ideal amount of time to the boiled syrup before rolling it into a popsicle. Sweet and sticky, eating it takes some practice – the first round, most of it ended up in my hair. 7. Musee des Beaux-Arts – Located downtown, Montreal’s Fine Arts Museum has a fantastic – and free – collection. Special exhibitions have to be paid for, but entrance to the other art – some modern, most traditional Renaissance-style – is entrée gratuite, as long as you can prove you’re under thirty. (I’m twenty-two, and I got ID’d. And no, I don’t want to talk about it.) Exploring the exhibitions is a great way to waste a few hours out of the cold, especially if you’ve got an art student to tote along with you. 8. La Vieille Europe – The smells of this “Little Europe” specialty store are unmistakable – fresh olives, ripe cheeses, Portuguese olive oil and German sausage. 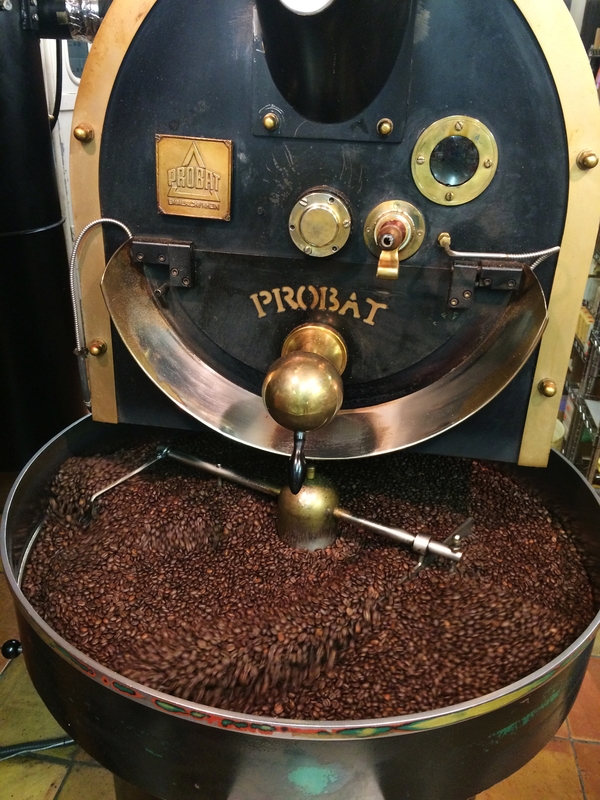 A coffee roaster spins fresh beans in the back corner. Although I couldn’t afford anything inside, I adored looking around at the imported products, some of which I recalled from my travels. We tasted the samples, and of course, breathed in deep. 9. 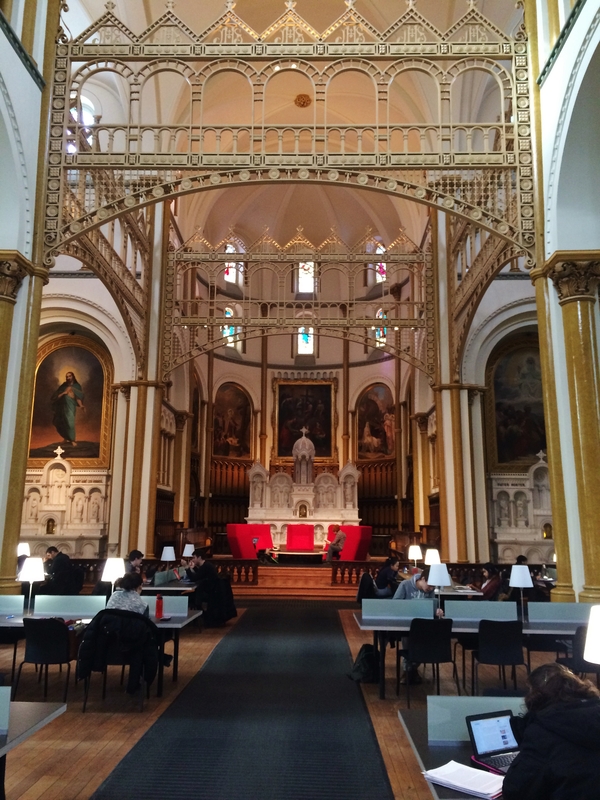 Concordia Library – Although it is only accessible if you’re a student (or if another student sneaks you in, *cough cough*), the Grey Nuns residence houses an immaculate library situated smack in the middle of an old church. Study beneath a giant organ, or up at the pulpit – just don’t make so much as a whisper, or you will get more than stern looks. Reverence goes beyond proper library etiquette in this converted nunnery. 10. 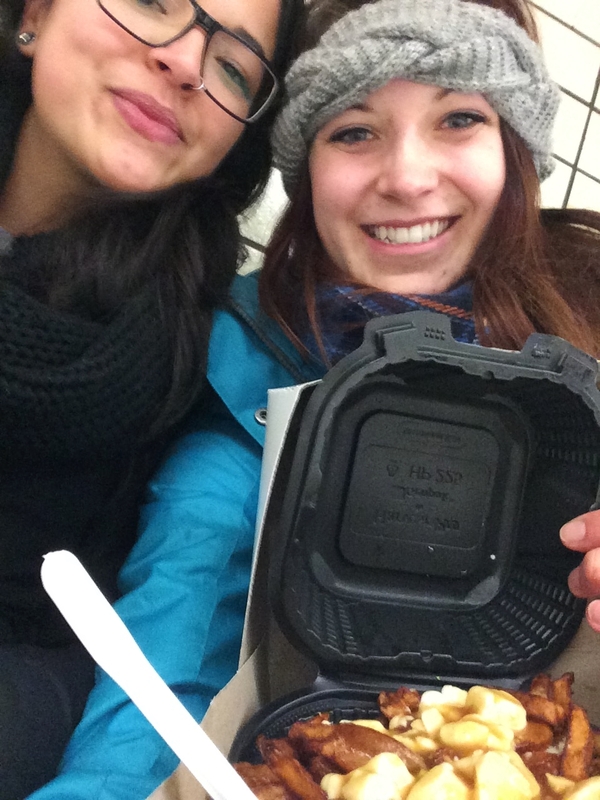 EAT POUTINE – Pronounced Poo-tin (yes, like the Russian leader), every Quebecois has a favourite poutine place. Dark, crispy fries smothered in spiced gravy and topped with white cheese curd chunks – or Italian style, with pasta sauce – or with the addition of smoked meat. I had poutine twice, both times fantastic, both times a little too tipsy to remember exactly where. And that, I think, is exactly how it should be. Quebec truly is a different world. I left Montreal more uncertain – which is a sure sign I’ll be back. Of course, I can’t mention everything I did, or tell you everything to do. 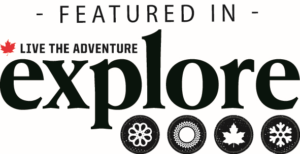 Look up current events and concerts – there will be a multitude to choose from. Ask locals. Look at posters along Saint Laurent. 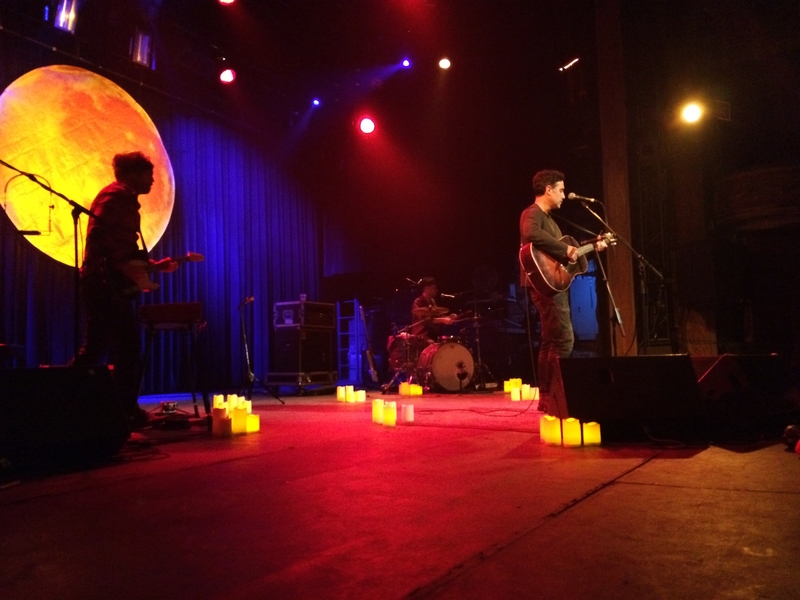 Check out the quirky venue Corona Theatre, if you get the chance. Dress for the weather. I loved the city, but my every second thought was I’m so freaking cold.